How do I get to the Super Bowl? Where should I park at the Super Bowl? If these are your questions, we have your answers. 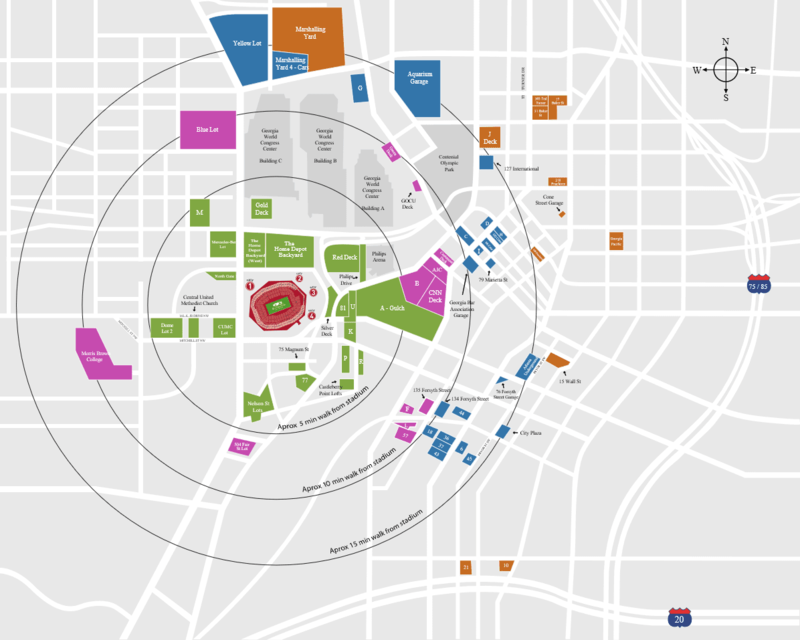 In this post you will find everything you need to know about Mercedes-Benz Stadium Parking for Super Bowl 53. If you’re not renting a car on your trip to Atlanta, we also have information on Public Transportation to the Super Bowl. Oh and by the way, if you haven’t secured your Super Bowl Tickets, check out our post on How to Buy the Cheapest Super Bowl Tickets. For an extensive list of the lots that are available for parking outside of the stadium, click here. 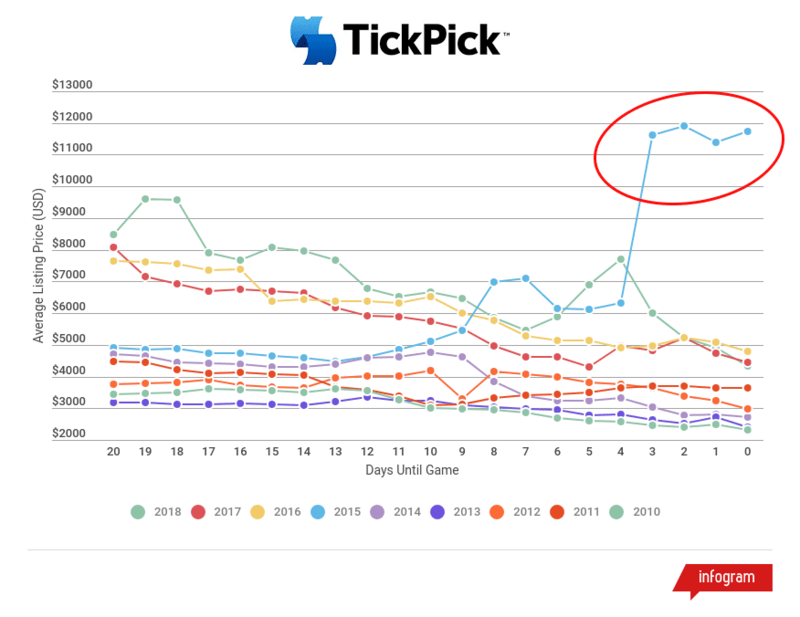 Sign up to receive daily updates on Super Bowl ticket prices from ticket industry experts (plus receive discounts). You have successfully subscribed! Check your email shortly for the newest newsletter. We anticipate parking lots to open around 12PM the morning of the Super Bowl and will remain open 2 hours after the final whistle blows. You must pay for parking in advance, you won't be permitted into the Mercedes-Benz Stadium lots without a pass. We are not aware of any shuttle services from any parking lots, so plan on walking from your car if you are driving to the game! Uber & Taxi Drop Off Lot - The designated drop off on Super Bowl Sunday will on Centennial Olympic Park Drive, right in front of the CNN Center and the NAPA Yellow Lot. Tailgating - In years past, tailgating was not permitted at any of the On Location parking lots as well as any NFL sanctioned lot at the stadium. You could bring food and beverages, but traditional tailgating items like grills and tents are not permitted. If anything changes on that we will be sure to update the post. Atlanta is well known their traffic, so driving a rental, your own car or even using a ride sharing service might not be ideal. Marta, Atlanta’s public transportation system, is one way to avoid the traffic and has service that will take you close to the stadium. Scooter-share companies are all over Atlanta now, which can be a nice option if you are traveling within the downtown area. If you have any questions regarding parking or anything Super Bowl related for that matter, don't hesitate to give us a call at 845-538-4567 or leave a comment below!